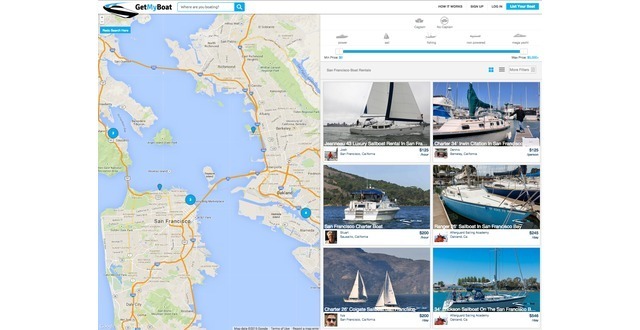 GetMyBoat connects boat owners and boat renters by providing a free, online marketplace to borrow and rent boats. Our vision is to bring boating to the masses while creating a way for boat owners to make rental income on their unused assets. As a renter you can search to find and reserve the exact boat to rent in the location you desire. 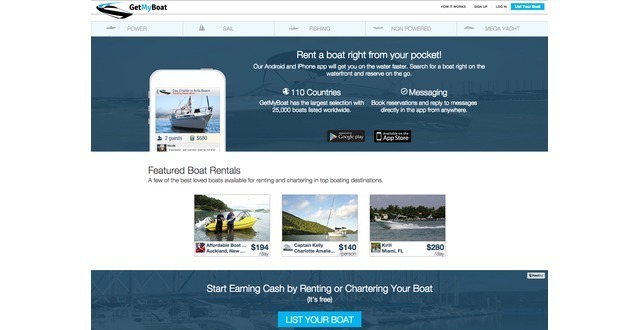 As a boat owner, set the price to rent your boat, create a listing page for all boats to rent, and track all communication through our messaging platform. 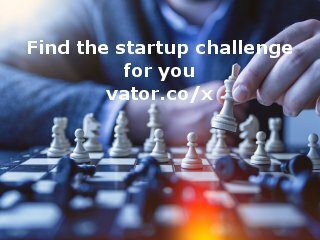 The idea for GetMyBoat was created about a decade ago when co-founders Sascha Mornell and Raf Collado were sailing in the Atlantic and noticed a tremendous amount of boats sitting idle in the marinas. As a boat owner, Raf knows the high cost associated with boat ownership, and spawned the idea that is now GetMyBoat. It wasn’t until over a year ago, with the emergence of the Sharing Economy, that Sascha and Raf thought the time was right to set sail and launch GetMyBoat. 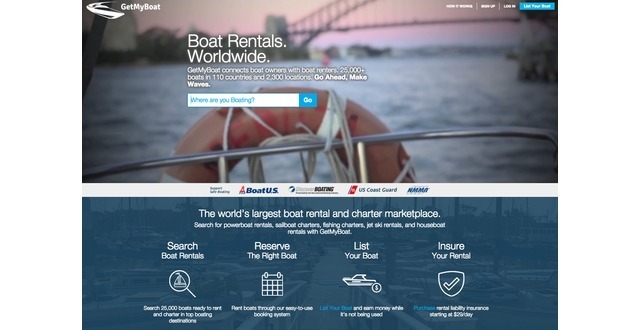 GetMyBoat is the world’s largest and fastest growing peer-to-peer boat rental and charter marketplace. 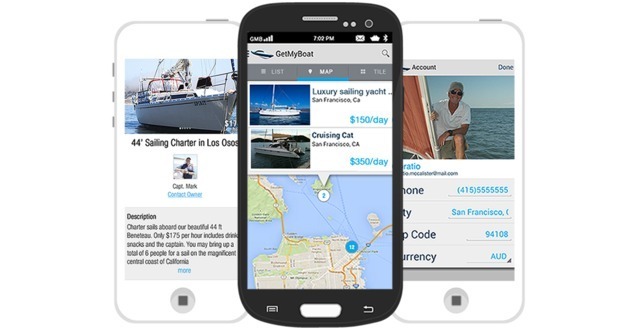 As one of the newest entrants (and asset class) into the “Sharing Economy,” GetMyBoat allows boat owners to make residual income from their unused boat by listing their boats on our platform. An owner can list photos, video, and specifications for their boat, as well as price by the hour, day, week, or even per person. GetMyBoat aims to make boating more affordable and accessible to the mass market and let boat owners make money from their rarely used asset (the average boat owner only uses their boat 8% of the year!). 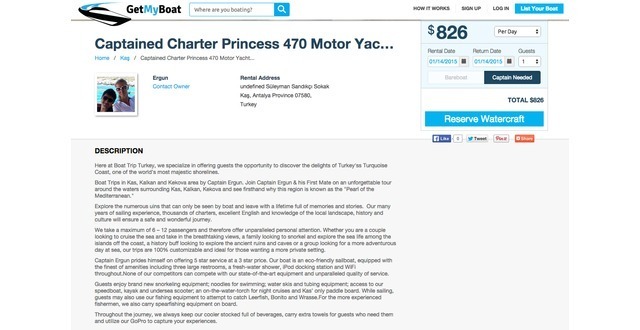 Having 26,000 boats listed worldwide, a boating enthusiast can find a boat to rent or charter anywhere they desire. Our boats are listed in over 2,300 locations around the world and prices vary on boat type, but can cost as low as $50 per hour. To further improve accessibility of boating, we launched our native app for iOS and Android. Now a renter can walk along the waterfront, pull out their smart phone, load the GetMyBoat app, and find a boat to rent or charter in less than a few minutes. 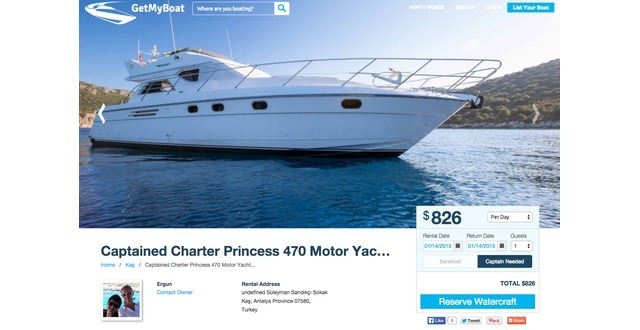 Owners can even create a listing with the app, complete with details and a photo of their watercraft.